Crystal marked an important construction milestone in Crystal Yacht Expedition Cruises' expansion, as it cut the first piece of steel for Crystal Endeavor at MV WERFTEN Shipyard in Stralsund, Germany. Crystal president and CEO, Tom Wolber, was joined by Tan Sri Lim Kok Thay, chairman and CEO of Crystal's parent company, Genting Hong Kong (GHK); Colin Au, group president of GHK; Jarmo Laakso, CEO of MV WERFTEN; and local dignitaries Harry Glawe, Economics Minister of the State of Mecklenburg-Western Pomerania, and Dr. Alexander Badrow, Lord Mayor of Stralsund at the ceremony held at the shipyard on Monday, January 15. "Today is a special day in the development of Crystal Endeavor, which will introduce the next level of exploration for the Crystal brand," Wolber said. "We are pleased to collaborate again with the experts at MV WERFTEN as we work toward a vision for Crystal Endeavor that truly embodies the spirit of discovery of Crystal Yacht Expedition Cruises." in new equipment so that the Stralsund shipyard will be able to continue to build cruise ships efficiently in the future." "Crystal Endeavor is a truly exceptional ship. We are proud to be able to implement this project and are particularly pleased to, once again, be starting shipbuilding activities in the Stralsund shipyard, creating hundreds of new jobs," Laakso said. 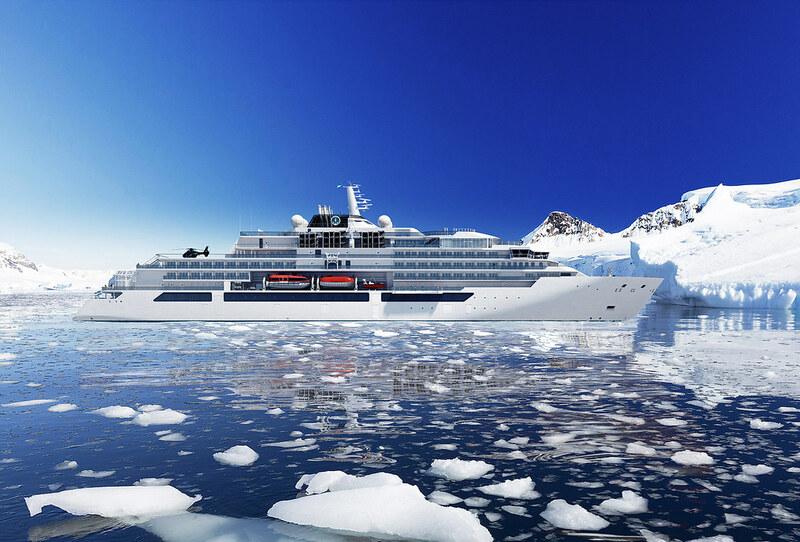 Set to debut in 2020, Crystal Endeavor will be the largest and most spacious purpose-built Polar Class ship featuring Crystal's celebrated service and hospitality, all-suite, butler-serviced accommodations, and unmatched choices for bold adventure in the world's most remote destinations.